The calendar doesn't change. There are 12 months in a year, and 2 of those months are always spent in a flurry of holiday and year end activity. It doesn't seem to matter how much we think about preparing for it. No sooner has the Halloween sugar rush wears off, we're jolted again by the sudden flip of the calendar into November. Thanksgiving month. The month of family gatherings, too much food, and of course the holiday retail marathon that starts on Black Friday. Outside of any deals you intend to nab on Black Friday, the day won't likely matter too much to you from a business perspective. In fact, it might even be a bit slower than normal for retail pharmacies open on November 23rd. Black Friday is a day for retail giants with huge marketing budgets and margins big enough that price slashing won't hurt their bottom line. But black Friday isn't the be all, end all of holiday shopping. Instead, focus your efforts for kicking off the holiday shopping season on Small Business Saturday. Originally launched in 2010 by American Express, Small Business Saturday is a nationwide event that gains support and momentum every year. If you aren't quite convinced that Small Business Saturday is for you, here are a few helpful facts about the holiday shopping season to help. 30% of annual sales for retail happen between Black Friday and Christmas. So if any percentage of your sales are retail based, the holiday rush should have an impact on your bottom line. In 2017 Black Friday shoppers declined by 4% from the 2016 numbers. Don't get me wrong, that's still a lot of money being spent on Black Friday, but Small Business Saturday gets bigger every year. In 2017, over 100 million consumers shopped local and dined local, spending an estimated 12 billion dollars. 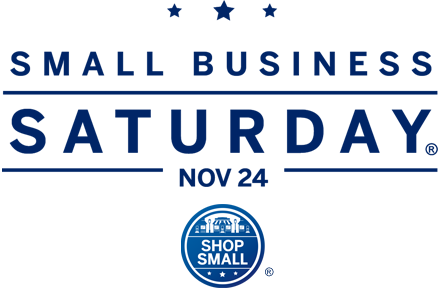 If you visit the shop small website, you'll find free downloads for creating Small Business Saturday Promotional Materials. Once you've decided to participate in Small Business Saturday, all that's left is to take some time to figure out how to get the most out of the day. Here are some tips pulled from a previous Small Business Saturday blog post to help. Promote - Despite the fact that Small Business Saturday is a growing trend, it still falls in the shadow of Black Friday. Not everyone knows about it or understands the value of supporting their local businesses. Even though your pharmacy may have an amazing gift department, many customers may not think of your store as a destination for purchasing holiday gifts. So, you'll have to do a little work to remind people that your pharmacy is an awesome place to shop for the holidays and promote Small Business Saturday as an event to attend in your store. In addition to using the Shop Small promotional materials I mentioned earlier, you should add information about the event to your website. Post it on Facebook and Twitter. Basically, talk about Small Business Saturday anywhere you have an outlet to do so. You can even use your pharmacy POS system to promote the event by changing the footer text on your receipt to invite customers to shop. Special Offers - Black Friday is famous for it's huge discounts. Its why some stores have lines around the building hours before they even open. But independent business isn't like that. Slashed prices and flashy giveaways just cut into margins that a lot of stores can't afford. That being said, you can still do something special for customers that shop on Small Business Saturday. Offer special promotions to members of your customer loyalty program and print coupons on your receipts for future use to drive return business. Even something as simple as free coffee and cookies while customers shop can make an impression. It doesn't take much to show shoppers how much you appreciate their patronage during the holiday season. Talk up your gift cards - Gift cards are one of the hottest items to purchase during the holidays, especially for last minute or impulse items. Did you know that the typical gift card user spends on average 20% more than the gift card value? Think about what that would mean to your bottom line! Participating in Small Business Saturday can open the door to a lot of good things for your pharmacy. So, if you haven't participated before, we encourage you to take advantage of the opportunity this year. Even a small effort can make a big difference.